Provides basic care services including patient, specimen, and equipment transport along with room cleaning, light maintenance and linen management. Assist Product Coordinator with unpacking and delivery of supplies from warehouse. • Prioritizes OR suite cleaning for room Turnover and cleans common areas within the perioperative area using prescribed procedures. • Assists with transferring, transporting and positioning of patients while using correct body mechanics. 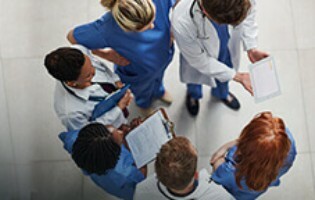 • Assists in OR set-up for each case, having essential equipment moved into the room. Following case, cleans and puts away equipment not needed. Transports and handles essential equipment per policies and procedures. • Handles and transports specimens according to policies and procedures. • Stocks shelves in compliance with par levels, stocks linen and fluids. Responsible with assisting Products Coordinator in putting away all warehouse supplies on a daily basis. Previous patient care experience/skills preferred. High School diploma or equivalent (GED). Meet the remarkable talents of Virtua’s most tech-savvy employees. "We are a community of professionals who enjoy caring for people in our own community. Working for a solid organization with family friendly values helps keep my life in good balance. It is satisfying to know that by working with a patient to achieve good nutritional status makes a real difference in that patient’s life." "I feel like I have made a difference in that patients care and hopefully in their life. I love talking to patients, and just listening to their stories and helping them along in their journey." "The amount of vacation time we get as employees here is extremely generous and allows me to spend extra time with my family. I also like the flexibility that my Director and the Virtua system offer-different starting times, weekend work etc. This enables me to give more to both my work and home. The tuition reimbursement is also a great plus." "I chose Virtua for the opportunity to develop my professional skills and meet the growing community need for quality homecare services. 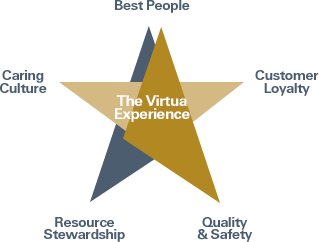 I chose Virtua over other agencies because of their high standards and commitment to patient and employee satisfaction. 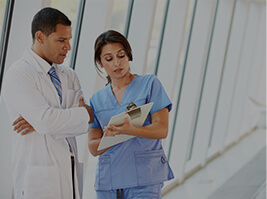 Virtua promotes relationship-based care services and encourages me to interact with patients and co-workers in a manner that drives patient satisfaction and employee engagement. I am in a work environment that lets me be the caring and enthusiastic person that I am." Virtua helps you be well, get well, and stay well. Virtua, the premier choice in health and wellness. We provide genuine, caring service every time. 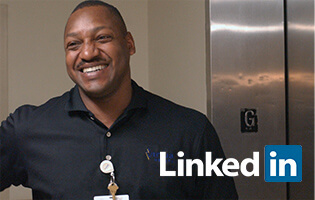 Discover endless opportunities to help patients achieve greater health and wellness when you join our vibrant team of allied health professionals. A job at Virtua means you’ll be immersed in a culture of respect, support, continual learning and a commitment to excellence that permeates everything we do and at every level. Read the latest news about Virtua's programs and services, community events, recent awards and more.